The objective of DMI is to train you to save lives in the combat environment. DMI customizes and executes solutions for our clients to help keep them at the level of readiness required to meet todays military, law enforcement, peacekeeping, and stability operations challenges. 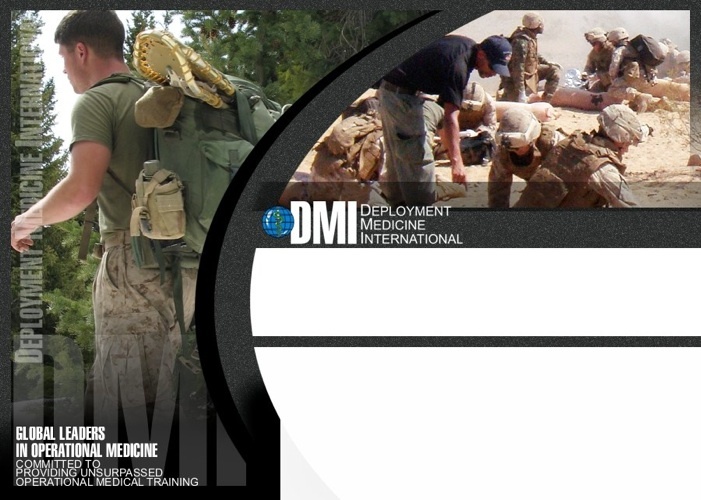 DMI has been training physicians, combat medics, paramedics, nurses, special operations soldiers, conventional war-fighters, and personal protection details since 2001. DMI is unique; we focus exclusively on operational medicine, providing state of the art, innovative science and protocols in support of operators and advanced medical staff in the world’s most hostile environments. DMI strives to achieve improvement in outcomes through clinical, educational and research activities in operational medicine. If you don’t see a course that suits your needs, please contact us; we specialize in training units and teams to the skills YOU need! We provide low student to instructor ratio’s, hands-on training and curriculums based on YOUR training needs.